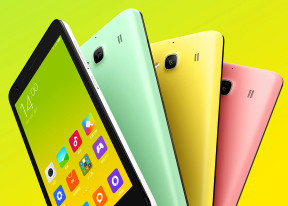 The Xiaomi Redmi 2 comes with the feature-rich MIUI Browser, now with new flatter looks. It does a great job browsing, syncing with your Google account, supports downloads, there is a night mode, too. It is as almost fast as Chrome, but does not support Find on Page. On the positive side, it has a built-in Reading mode, which isn't available in Chrome. It enlarges the text font and strips away unneeded elements, leaving only the article you are reading in focus. Unfortunately, the MIUI Browser, even though updated, still had issues with some pages and our battery-test browsing script. That's why we suggest you install Chrome, at least as a backup, just in case you need to avoid crashes or you need to find something on a page. Plus it can sync with your Google account easily. The Xiaomi Redmi 2 offers a great file managing app called Explorer, but there is no document viewer/editor pre-installed. There are plenty of free options in the Play Store (even ones made by Google), so this shouldn't pose a problem. The MIUI v6 also offers a Security app. It can scan your phone for malware, manage your blocklist, manage or restrict your data usage, configure battery behavior, clean some RAM, it can also manage the permissions of your installed apps. We really liked the new Compass app. It has very nice and clean interface, shows the directions and doubles as level. If you lift the phone up then you'll get a nice augmented reality view with real-time directions. If Google Maps isn't installed on your unit, you can get it for free from the Android Market. The app offers much of the same functionality as its web-based counterpart, although you will need a data connection to take full advantage of the navigation features. Street view mode with digital compass enabled is an especially neat thing that you should definitely check out if you haven't already. Whatever else you may be missing, you'll find it in Google's Play Store.